‘Last updated: April 10, 2017‘ When you call our 24-hour Uxbridge plumber you are getting a reliable, highly experienced professional with several years of training working for a company with over 26 years of experience serving the Uxbridge region successfully. We have served many customers over the years who are very happy with our workmanship. Whether it is for residential or commercial plumbing service we have got you covered. There is no job we cannot handle, big or small. Our Uxbridge plumbers are happy to be of service 24-hours a day, 7 days a week, all year long. We are local plumbers as well so you can rest assured there is a prior understanding of the plumbing needs in the area. We understand that plumbing emergencies are of a serious nature and that's why when you call our local dispatcher we will first recommend that you turn off the water supply if you haven't already and then we'll send our nearest plumber to arrive at your home or business as soon as humanly possible. Unlike other local plumbing companies, we don't just work regular business hours. We are an emergency based plumbing company and are there for you any day of the year, at all hours. While we are also happy to schedule regular plumbing maintenance services if that is the situation you require ongoing be it for a residential or commercial plumbing project. And our pricing remains consistent too. Our Uxbridge plumber will use our trusty plumbing guide to determine the cost of the job before we begin. This way you understand the full cost of the successfully completed job before beginning the work and don't have to feel any stress about hourly charges because there are none. Our pricing is always flat-rate and affordable, upfront and exact. We will give you a written cost outline prior to starting and we don't have any overtime fees so we'll stay until it's completed for the long-term. We also do not charge for travel time or fuel and there are no hidden surprise fees ever. We are a successful company with a long history of happy customers because of our expert workmanship but also because of our commitment to great customer service. So you can be confident in having a positive experience when you choose our Uxbridge plumber for the job because we have vetted all of our plumbers thoroughly not just for our skills, training, and experience but because we are all great people with friendly personalities with polite, courteous attitudes. So you can be confident that your result is long-term and your experience is a positive one from the start until the completion of the job successfully. Our Uxbridge plumber specializes in emergency plumbing but we are also available for several non-emergency services that we can schedule at your convenience. Regarding emergency situations just let us know that it is a major plumbing issue you're dealing with and we will make you our top priority. You will see our local Uxbridge plumber show up in a uniform and with a company vehicle. In this truck or van, they will have all of the professional plumbing tools and specialized materials to get all plumbing jobs done while we are there the first time. We only use professional grade tools and brand name materials built to last. Our plumbing solutions are long-term and innovative and you will appreciate our attention to detail, professional workmanship, and friendly customer service. Please give us a call 24/7 today! No Hourly Fees - There are several advantages to choosing our local plumbers who offer flat-rate pricing. Based on our Toronto plumbers passion and commitment to professional workmanship you know we will stay until the job is complete successfully. If the job takes a bit longer than originally planned it is because we want our solution to get done right and not simply because we are on the clock. Exact, Upfront Pricing - Our Toronto plumber will use our price book to determine the cost and create a detailed outline for you with the scope and total cost of the job before we get started. This way you will be completely comfortable during our visit knowing that it will get done right the first time and for the long-term. There are no overtime charges, no hidden fees, and no charges for our travel time. Fast Response Times - Our efficient, friendly dispatcher will ensure they send the closest, local Toronto plumber to you as quickly as they can. During regular conditions, our local experts will be at your home or business within forty-eight hours. During busy times of the year, or if we need to order a specialty part it can cause the service call to take more time but you can trust we genuinely care to get there as fast as possible. Priority Service Calls - Toronto plumbing emergencies are our top priority. We understand that they can become a serious health and safety issue for your family and home. Let us know that it is a real emergency and our local plumber will arrive at your home or business within twenty-four hours. Should you have a serious plumbing emergency first turn off the water supply then give us a call. Please know that priority services will require a credit card upfront. Local Plumbers - When you rely on us for Toronto plumbing service you are getting a local plumber in your city or area. This way you get the fastest response time possible by a local expert who knows the area. 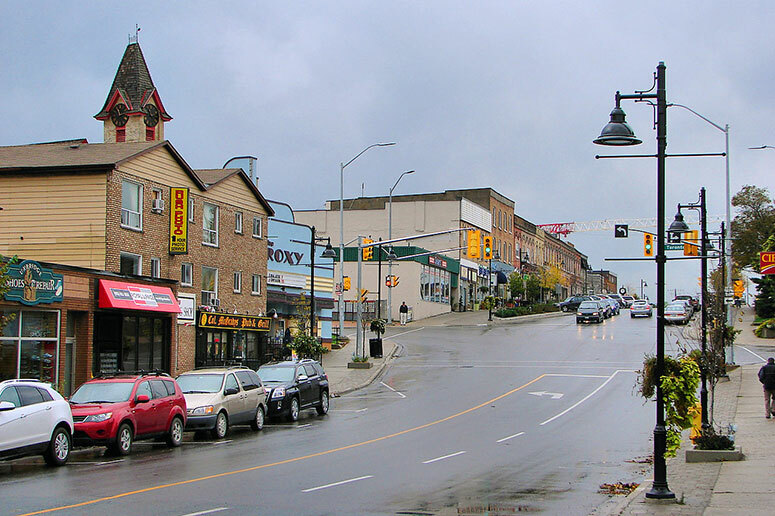 With local plumbers in more than one hundred neighborhoods, towns, and cities in the Greater Toronto Area you can rest assured that our experienced team can fix your plumbing problem in no time at all. Equipped Work Vehicles - Our company trucks and vans are fully equipped with all of the specialized, professional brand name supplies and materials required to get the job done on our first visit. It is very rare that it is necessary to order parts not on hand but if we do we can have it ordered and on the way within a day. Expect our Toronto plumbers to show up clean, organized and ready to work. Open 24 Hours A Day – Mon-Sun 12:00am – 12:00pm. * Terms and conditions may apply. To learn about any policy information click here. Need A Local Emergency Plumber? Very very good. I would recommend Phil to other people. Very professional, explained everything very well. It was good experience. Nice man. Worked quickly.